3.1 megapixel camera - 2.8 inch screen. 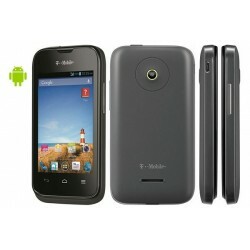 The Huawai U8150 IDEOS is a smartphone powered by the Android 2. (also known as 'Froyo'). IDEOS redefines the entry-level concept by combining high-quality hardware and software with a high price-to-performance ratio. Like New. Huawei Ascend y201 pro U8666 has a 3.5 inches of display TFT touch screen. 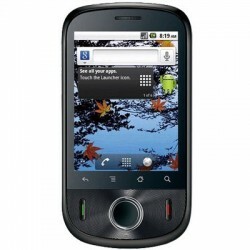 Device comes with an 800 MHz Qualcomm MSM7225A processor. Very impressing thing is the OS, it runs android version 4.0 ice cream sandwich. Huawei Ascend y201 pro has 512 MB of RAM. It supports upto 32 GB of micro SD card while it has 4 GB built in data storage capacity. Brand New. T-Mobile USA recently listed the Huawei Summit. This bar-style device appears to be almost identical to the Prism, also made by Huawei and on sale with T-Mobile. 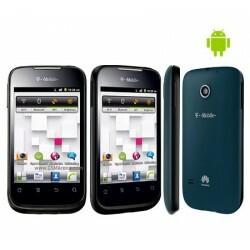 Both phones feature a 3.5-inch HVGA screen, 3.2-megapixel camera, and support for T-Mobile USA's HSPA+ high-speed network. The Prism II arrives as a successor to the original model from Huawei, but with added horsepower and a fresh version of Android. In all, it brings a 3.5-inch HVGA (480 x 320) display, a 1GHz CPU, 512MB of RAM, a 3.2-megapixel camera, 4GB of expandable storage, a 1,750mAh battery and Android 4.1 (Jelly Bean). Brand New!